Renz created T123046: Easy to produce infinite animation loop V1.66. Renz created T121879: Broken animations for BI Revive after 1.66. Renz created T121217: Friendly Fire Bug with Zeus Controlled Unit since 1.64. Renz created T120149: RC V1.64 Feedback on Search Tab in Zeus. Renz created T120148: Zeus - Players unable to join or kicked a few moments after placing APEX structures on Altis or Stratis. Renz created T120147: Game Master - CAS Modules spawn multiple jets during high player counts. Renz created T120145: RC 1.64 Structures missing from Game Master. Renz created T120144: v1.64 RC Zeus Game Master Ctrl +V makes faction buttons disappear. Renz created T118753: Official BIS End game servers should have consistent max player count. Renz created T118749: Object Friction inconsistent with setMass physics between host and rest of clients . Renz created T116868: Re-enable traditional voting in official servers. Renz added a comment to T82113: Sort player list by team/faction then alphabetically. 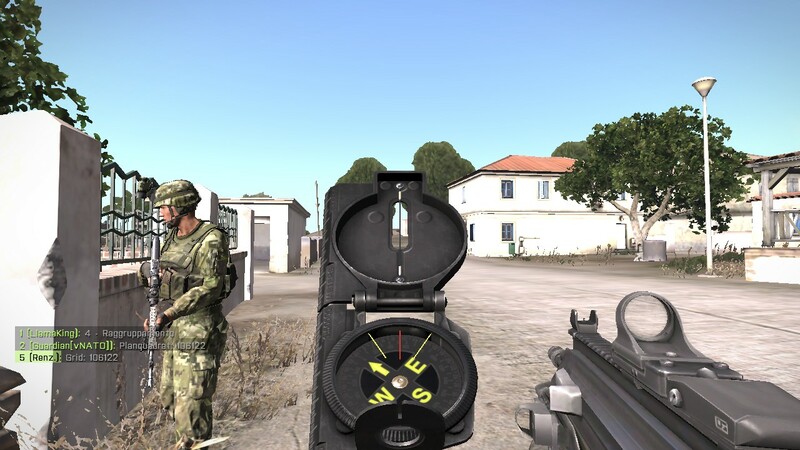 Renz set Category to category:visualcharacters on T81988: Arma 3 degrades enemy to a blurry dot, unlike Arma 2. Renz added a comment to T81636: 3rd person & 1st person servers for End Game. Renz edited Additional Information on T81636: 3rd person & 1st person servers for End Game. Renz added a comment to T81444: Allow option for self healing to 100% via FAK (Single Player Campaign). Renz edited Steps To Reproduce on T81415: Place all offical Zeus Modes under one filter setting. Renz added a comment to T81388: vehicle freeze in water. Renz added a comment to T81301: v1.40 new weapon sounds sound horrible to me. Renz added a comment to T78434: Fences producing heat - Highlighted in thermals. Renz added a comment to T78085: Fatique is unrealistic. Fatigue should now be even more managable with the new weapon deployment (ie. bipods) and weapon resting BIS is introducing to vanilla. I download my scripts from the internet. Most come with clear instructions to implement so It's not too hard. I hated it at first, but I got used to it. For some strange reason it makes killing people more intense. It's exciting this way. Settings for fatigue seems unnecessary though. Admins can use scripts in their missions to reduce fatigue if desired. This will disable fatigue for all players. Simple! Bohamia is taking the right direction by revamping fatigue. @armauser99 please check the video posted above, and see if you agree. I didn't believe fatigue was realistic until this video explained why. Fatigue is punishing, but i believe fair. Once you take it into account it becomes easily manageable. Resting when you can, using transport as much as possible and other factors to manage fatigue makes Arma more immersive than it already is. This is why I find it very easy to keep my fatigue below 70% in 2 hour coops. Renz added a comment to T77950: Add rare carbines АЕК-971 (5,45×39 мм), АЕК-972 (5,56×45 мм NАТО), АЕК-973 (7,62×39 мм). Renz edited Steps To Reproduce on T77937: Missing VR Training Mission?. Renz added a comment to T77906: Make doors in all vehicles real!. Renz added a comment to T77905: [removed] Reason, unified with other ticket --> #0003265. Renz added a comment to T77893: Do not allow a head of the player to get inside objects. (12 video!). I wrote "This isn't an issue BIS can't fix completly"
....Not "This isn't an issue"
Maybe it would be clearer if I wrote "BIS can't fix this issue completly"
I believe BIS can't provide a complete solution. However, they have mitigated it for other forms. For example, trying to lean past a wall will cause you to slide away from it, preventing you from seeing past. Maybe this "sliding" could be applied for healing animations too. It won't a complete solution, but it would be mitigated and makes looking past walls harder to achieve. Renz added a comment to T77874: Extend the possibilitys for the use of the Mousewheel. Renz added a comment to T77851: Inability to remove NVGoogles in Editor. Renz added a comment to T77822: Virtual Arsenal improvements. Renz added a comment to T77796: Compass face is black, rendering bearings unreadable. I agree. The black compass face has little contrast with the black number bearings, making it difficult to read. The compass before the update had a white compass face with black number bearings. This made the old compass was alot easier to read because there was a lot of colour contrast between the numbers and the compass face. Renz added a comment to T77789: Higher Action Priorities for "Open Door". Renz edited Steps To Reproduce on T77789: Higher Action Priorities for "Open Door". Renz added a comment to T77702: UH-80 door gunner too powerful against buildings. Renz added a comment to T77627: Keys pressed during Alt-Tab or Steam Overlay Opening are locked in. Renz added a comment to T73179: Character get too tired(stamina). Renz added a comment to T62030: Terrible sound immersion. Renz added a comment to T59005: No Surrender Key. Renz added a comment to T58799: Deploying a weapon / proper use of bipods. BI has never said Arma 3 was a "military simulator". If you check out any of the official BI websites and game description, they do not mention Arma 3 being a "simulator". Instead they mention it being "authentic". Virtual Battlespace genre is "Military Simulator", which is a true simulator made by BI specifically for military simulation. Arma 3 genre is "tactical shooter". Not "simulator"
The MEDIA says its "Simulator". Arma 3 genre- "tactical shooter". Does not say its "Simulator" genre. Arma 3 description- does not say Arma 3 is "simulator". They say its "authentic".